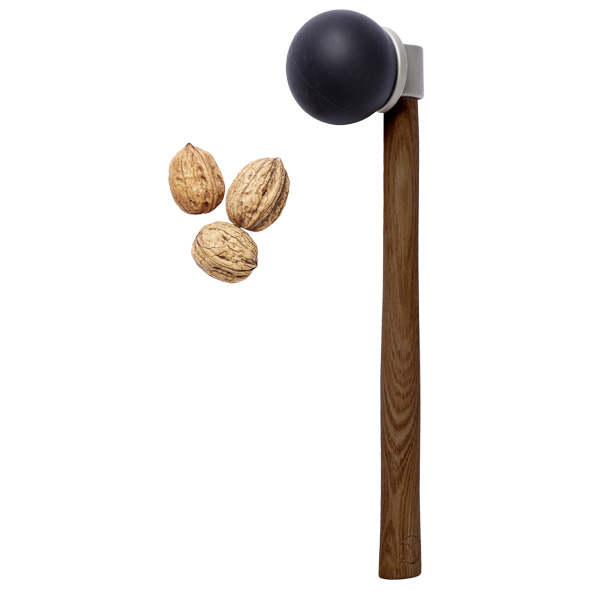 The functional Nut Hammer was designed by Roger Arquer for Menu. 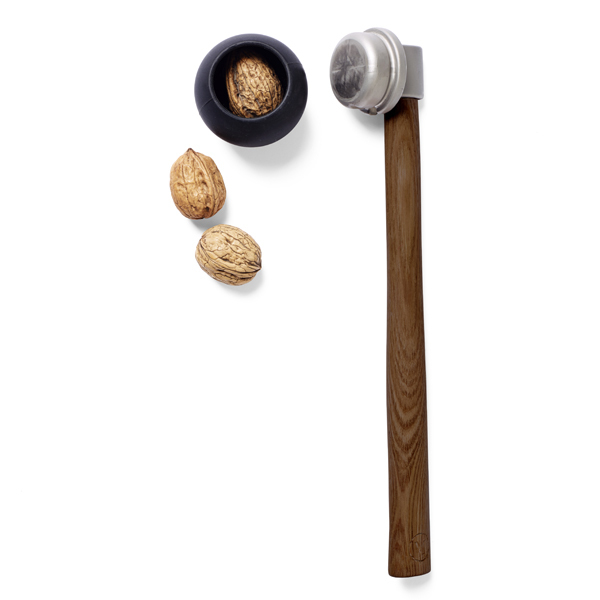 Put a nut into the silicone holder and hit the hammer against a hard surface, and the cast iron back will crack the nut. Very easy to use and much more fun than regular nutcrackers! 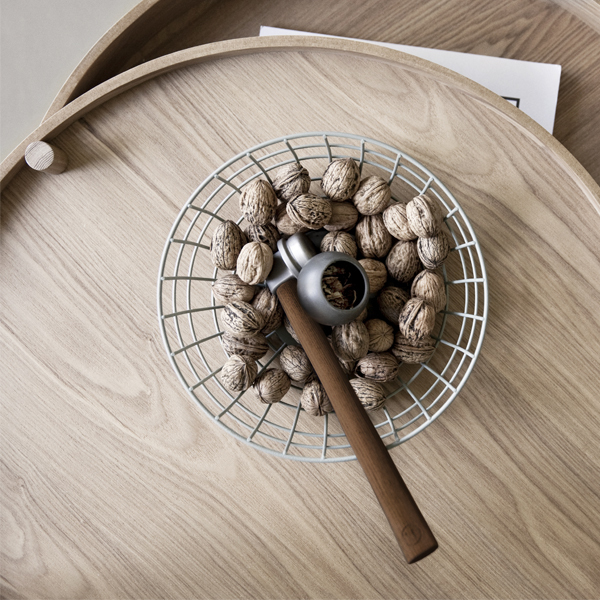 Roger Arguer graduated from the Royal College of Arts in 2005 and since then he has worked with several well-known clients in different projects. 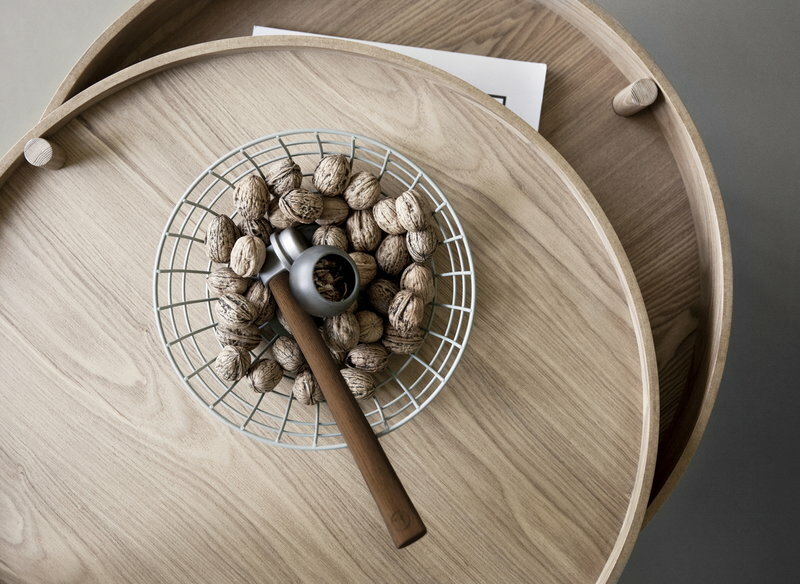 In his works Arquer combines functionality with feeling, stories and aesthetics – he aims to create everyday objects that tickle the soul.